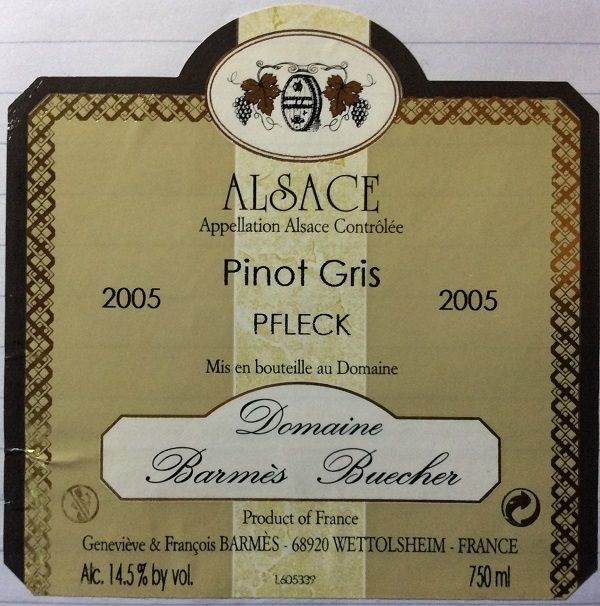 A good, solid, classic Alsatian Pinot Gris. And a pretty good (emergency) match for French onion soup (particularly as the soup was much paler than I expected). But anyway, it survived course 2, and got some very positive comments of surprise from the table. Biodynamic, this one. Deep gold. Spicy ripe pear, caramel-nut, apple toast, and with a touch of almost custard richness. Off-dry, spicy, powerful palate of pungent pepper and more spiced pear. Medium acidity to balance. Medium+ length, with a rich, spicy finish. Pretty good.